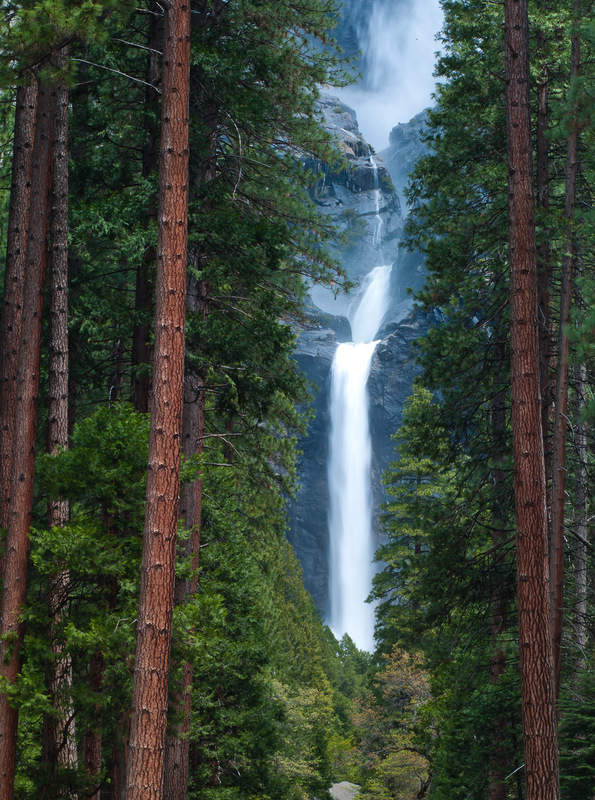 Yosemite Falls on the horizon with the rushing waters makes the heart race. Take a seat on the bench and rest for a moment and enjoy the sound. Photo © copyright by Lance B. Carter.